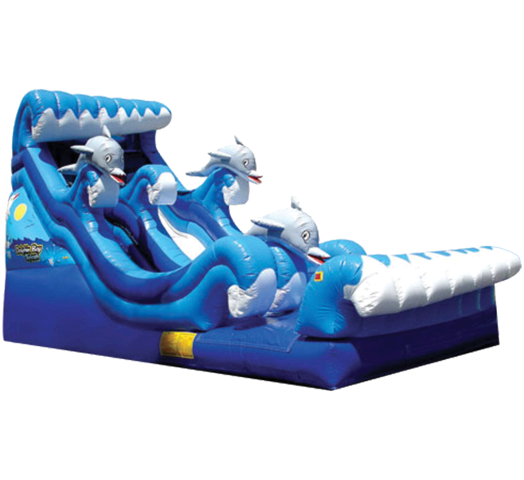 You're invited to RIDE THE WAVES with the dolphins on our Dolphin Splash water slide! 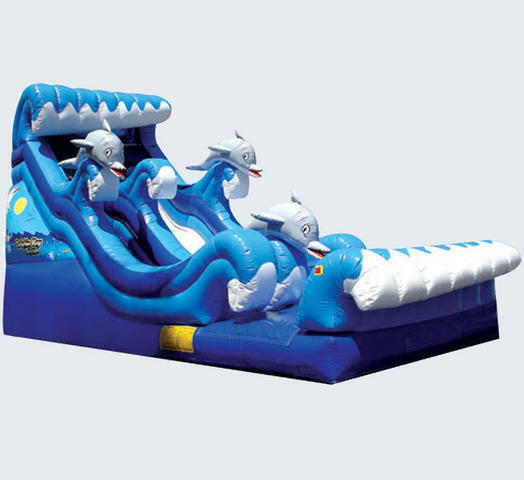 This all new design features a dynamic "roller coaster"-like slide surface and a wet landing! Please note that this water slide does NOT have a pool but features a newer & safer "splash-down" area that will thrill the riders and spectators alike. STEPS AT PROPERTY = $5 PER STEP ADDITIONAL FEE. Must have a minimum 48" width opening access to setup area.